With issue 18 of Pow! (on sale 13th May 1967) The Cloak replaced the unpopular Jack Magic strip in the weekly. 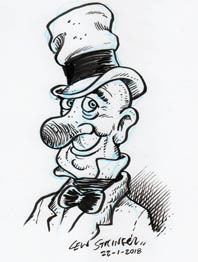 The Cloak was the creation of Birmingham-based cartoonist Mike Higgs, a lifelong fan of comics and pulp magazines. In 1964 Mike had produced a fanzine entitled The Shudder, a parody of pulp magazine legend The Shadow, and with a few tweaks this character became the inspiration for The Cloak strip that he submitted to Odhams. The editors of Pow! liked what they saw. Their line of comics already had serialized spy strips (Eagle-Eye, Man from B.U.N.G.L.E. and Wee Willie Haggis) but clearly they saw that The Cloak was something unique. 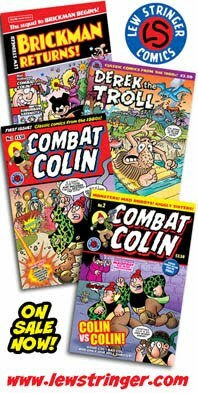 The other strips were in the Leo Baxendale mold (more or less the closest thing Odhams had to a house style) but Mike Higgs' work had none of that, being more influenced by Peter Maddocks and Elzie Segar. More importantly, his style looked very contemporary, very Sixties... and the one thing that set Odhams above their competitors was how much they reflected the "swinging sixties". 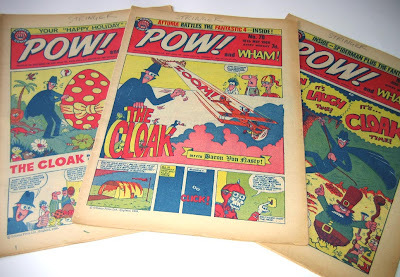 The Cloak became a hit with the readers of Pow!, even elbowing Spider-Man off the front cover for a few issues. When Pow! merged into Smash! in 1968, The Cloak was one of the strips to make the transfer. However, with the formation of IPC looming over the horizon things looked bleak for anything that didn't suit their formula. When IPC took the reins of Smash! in 1969, revamping it into a clone of Lion and Valiant, the humour content was cut back and out went The Nervs (by then superbly drawn by Ken Reid) and The Cloak. IPC segregated their comics department into two divisions: humour and adventure. Sadly, this meant that the humour comics, heralded by Whizzer and Chips in October 1969, were a little "younger" than Odhams' approach had been. 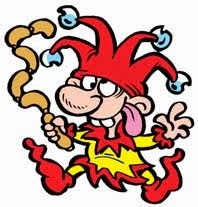 Although Odhams had a large following comprised of children and adults, (as clearly evidenced from the letters they published) the new IPC humour comics were firmly aimed at children. Most of their content became increasingly tailored towards the "kid with a gimmick" limitation (X-Ray Specs, Chalky, Val's Vanishing Cream, etc.). 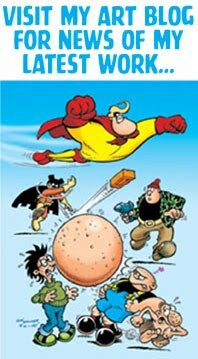 Although the new IPC comics were a massive hit with the readers, Mike felt unhappy with Space School being steered towards becoming something akin to The Bash Street Kids in space. 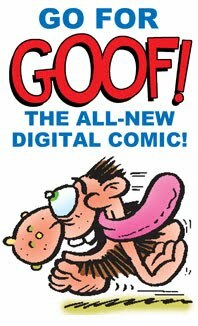 As a result he quit after a year on Whizzer and Chips to work in newspaper strips (Moonbird, Baz & Co), Moonbird children's books, lots of commercial cartooning, and editing/designing the Dan Dare collection for Hawk Books. 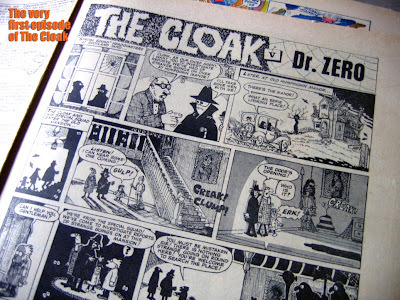 Subsequently, British comics have never seen anything quite like The Cloak since, and for many collectors it remains one of the most unique and enjoyable strips ever seen in the UK. Very true, and as it'd only run to around 200 pages it would be feasible. Sadly, Odhams never returned the original artwork to Mike so if it did happen it'd have to be scanned in from the comics, necessitating a lot of retouching. Lew, again you've taken me down a path I'd forgotten. 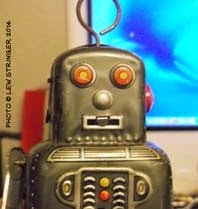 Those old Smashs were so 'pulpy' they didn't like my travels around the world back then! But the Man from B.U.N.G.L.E.!!! Wow, imagine. The Cloak AND the MFB in one book. Boy would that be a kick! Personally I wasn't as much a fan of B.U.N.G.L.E. except for the very first ones which Baxendale drew. Maybe I'll showcase some of those here in the future. i can see a lot of your drawing style in the Cloak...did you used to copy it..study it..or your cartoon design just happened. I started drawing my own comic strips, for my own amusement, when I was 7 but I never used to copy anything because I saw that as cheating. Subsequently it took a long time for a professional style to develop. When I worked as Mike's assistant in '83/'84 I had to ghost his style somewhat on LOTS of children's books. (We did about 100 I think: Moonbird, Dopey Dinosaur,House Mouse,... too many to remember. Some for the USA.) So obviously I picked up quite a bit of Mike's style then. Thanks for these articles, I never got the chance to read The Cloak and have only had a few tantalising glimses (seems sort of apt! 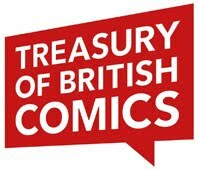 ), a TPB would be great, there's a lot of 'lost' British strips I'd love to see collected. I read the Cloak all those years ago. if I remember he had a Cloakmobile. the car was based on a Cord 810 sedan, an American car designed around 1936. Thanks for posting, no one I know has ever heard of The Cloak. 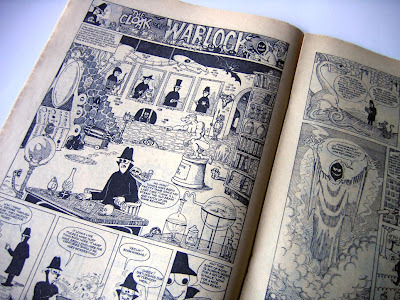 I would only demur to one section of Lews great tribute- in that British comics never saw anything like the Cloak again. I was devastated when the Cloak finished in March 1969- but! 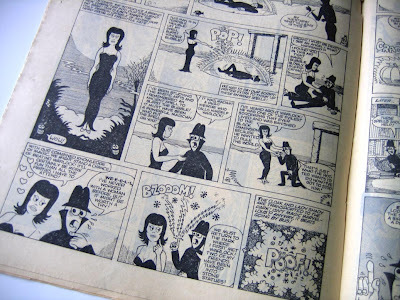 Sparky comic had from just one month prior- began a strip called "I.Spy" and soon this bore many of the hallmarks of the Cloak strip. 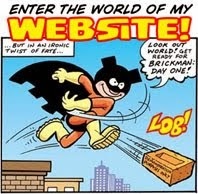 The I.Spy strip did tend to have rather more bizarre stories than The Cloak. But both are memorable. Alan Smith.